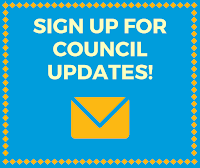 Council members requested this presentation from the Rock Canyon Preservation Alliance regarding the group's proposal to put Rock Canyon under the long-term protection of a conservation easement. This will be heard again at a future work meeting after the conservation easement agreement has been drafted. Parks and Recreation also presented a master plan for the Rock Canyon Trailhead area that will guide the short term and long term development of the trailhead and focuses on preservation, education, and recreation. Robert Vernon, Executive Director of Provo City Housing Authority, gave a presentation on affordable housing. This topic often brings a lot of emotion and can deteriorate to trying to keep out "those people." Mr. Vernon explained that we need to have a better understanding of who is actually being impacted by the need for affordable housing. Area median income (AMI) for a family of four is $69,200. That sets a level for low income at $55,350, very low income at $34,600, and extremely low income at $24,600. One in four households in Utah County have incomes below 50% of the area median income (AMI). Life events like divorce or the death of a spouse can drop a family into a low income category. In Utah, the fair market rent for a two-bedroom apartment is $849. In order to afford this level of rent and utilities (without paying more than 30% of income on housing) a household must earn $2,829 monthly or $33,944 annually. That would take 90 work house per week at minimum wage. The typical two bedroom, two bathroom unit in new apartment projects is about $1,250. Mr. Vernon concluded with some solutions he proposed for the Council to consider. Heard a report from the Mayor's Sustainability Committee. Discussed the FY2018 budget, including recommendations from the Budget Committee. Heard a presentation from Public Works regarding the Kiwanis Park detention basin project and its purpose in the stormwater system. 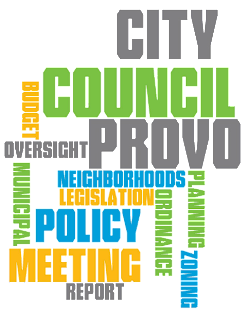 Council was presented with the proposed Provo City, Redevelopment Agency (RDA), and Stormwater Special Service District budgets at the May 2, 2017, Council meeting. 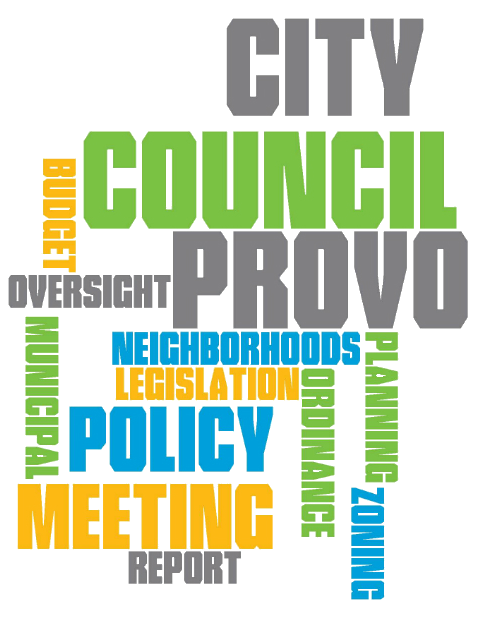 In addition to two budget retreats and staff research, Council heard from Provo residents on Open City Hall, in scheduled public hearings, at policy discussion lunches, and via email, phone calls, and individual meetings. Council's Budget Committee also reviewed the budget and delivered recommendations. Some discussion was held about considering holding a truth in taxation hearing to possibly increase the City's portion of the property tax, with Council eventually deciding not to proceed. The final decision was to approve the FY2018 budgets as presented at the Council meeting. The adopted budget will be posted on the Finance Department page by the end of June. Heard a presentation to Brett Garrett, Provo Parks and Recreation, as June Employee of the Month. Approved an ordinance for a street vacation of 1780 South running west from Industrial Parkway to facilitate development of self-storage units on land in the East Bay Neighborhood. Approved an ordinance amending the zone map classification from light manufacturing to public facilities for the creation of Spring Creek Park in the Spring Creek Neighborhood. Approved a resolution appropriating $50,000 in the Council Office budget for the hiring of a budget performance consultant. Approved an ordinance allowing a new PRO Zone for a property at 691 East 600 North, currently zoned Residential Conservation, and amended the zone map classification to allow 10 apartments (Joaquin Neighborhood).